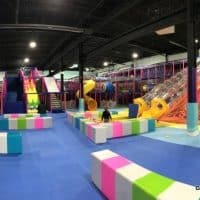 Whether you are looking to have a family staycation with the kids or are looking for a great hotel while you are staying in Calgary, this list will be sure to have some great options. 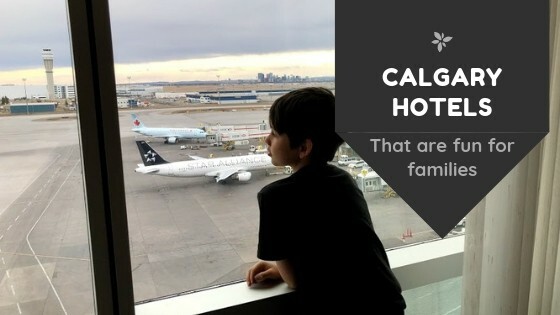 If you are just visiting Calgary, your family will enjoy the great amenities these hotels provide. 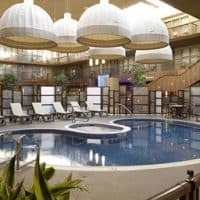 If you are looking for a hotel for a Calgary staycation these hotels will definitely fit the bill. Sheraton Cavalier Calgary Hotel boasts Oasis River Country Water Park, which claims to be the largest hotel water park in the area and is exclusively for hotel guests. 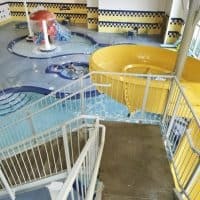 In addition to the main pool, the water park has two large water slides, a kiddie pool and two hot tubs. Deerfoot Inn's waterpark features pool, a tall water slide, kiddie pool and two hot tubs. The Port O Call has Waves Waterpark. 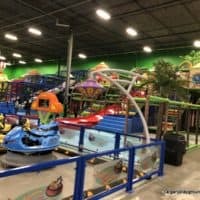 In the past this was open for birthday parties but it is now exclusively for hotel guests. 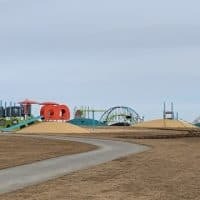 It features, a leisure pool, two tall water slides, a wading pool and two hot tubs. 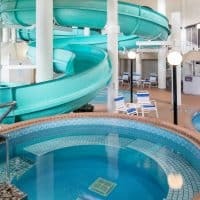 The Sheraton has a swimming pool with a water slide. 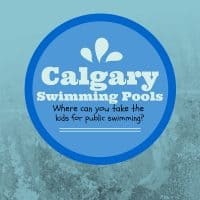 The hotel is walking distance to Prince's Island Park and the Eau Claire Plaza wading pool (summer only). The hotel is an all suite hotel which can be great for families. 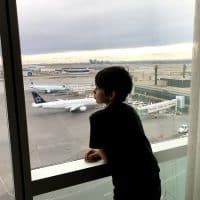 If you get a view room at the Marriott In-terminal Hotel, your room looks out over the airport. It's a view unlike any other. The hotel also has a hot tub and pool, but smaller kids will enjoy the pool more with life jackets as it is a consistent depth of 1.2 meters. This Calgary hotel is huge and is actually in two parts with a connecting bridge. There is a pool in the atrium, as well as a small pool with a water slide in the tower section. They have family suites that sleep up to 6. Easy driving distance to plenty of restaurants. 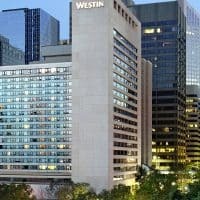 The Westin Calgary is located just a few blocks from Prince's Island Park to the North and a few blocks to the C-train line to the South. Kids are greeted with a coloring book and crayons. The hotel has an indoor rooftop pool.